Do you want to be a few hundred yards from one of the best beaches in the world? 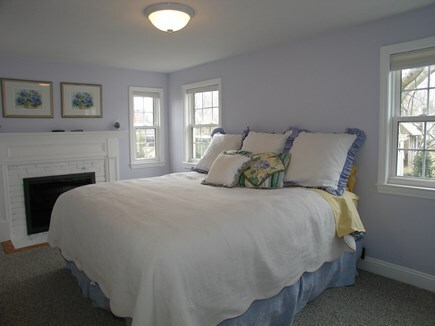 This gorgeous 3 bedroom, 2 bathroom cottage is steps away from Bayside Beach next to Mayflower Beach (known to be the best beach on Cape Cod). This cottage is nothing like anything you've rented on Cape Cod. The private residence was completely rebuilt by its owners for their use and enjoyment. The owners, who design, build and showcase luxury homes for a living, designed this luxury beach house retreat where they could enjoy the sun and surf in style. 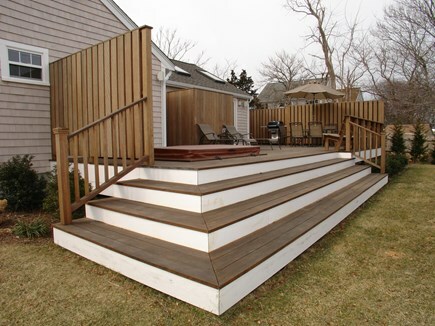 There is a large, fenced-in, private back yard with wrap around deck with enclosed shower, table with 8 chairs, lounging chairs, natural gas BBQ grill, and recessed hot tub. The cottage features a master bedroom with a king size bed, a gas-lit fireplace, a wall-mounted plasma television w/DVD player and ample closet space. The guest bedroom features a queen bed, built-in bureau and closet. 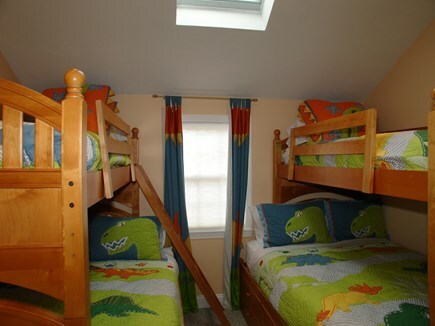 The third bedroom features two bunk beds (both bottom bunks are double beds). The room also features a loft and closet. There are 2 full bathrooms. The guest bathroom is cathedral and sky-lit, featuring a double sink with granite counter tops, a 36' shower and full laundry. 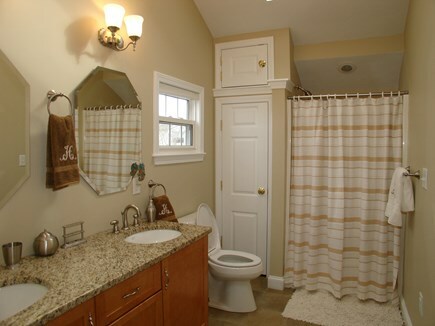 The other bathroom is off the Master bedroom and has double sinks with quartz counter tops, a tub/shower, and cathedral ceiling with skylights. The kitchen and family room constitute one open cathedral sky-lit space. The family room has a large wrap around couch with lots of seating. 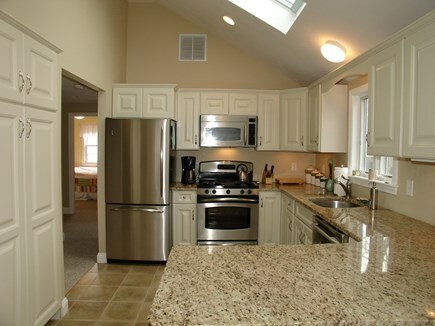 The kitchen is fully equipped with stainless steel appliances. The beach is kid friendly and safe, and has a low tide that affords children to explore tidal pools and allow parents to relax from a distance or find their own solitude through long walks on miles of beach and dune. In the evening, the sun sets over Cape Cod Bay to create a beautiful and romantic atmosphere. Additional pricing info: State and local taxes apply. will be included automatically 12.45% & $275 Cleaning Fee, State and local taxes of 12.45% will apply. We have been staying at this property for our summer vacation for the past 6 years, and will for many more to come! The owners keep the house clean and updated. It is located away from the main road, so there is great deal of privacy. You can't beat the short walk to the private beach, and the backyard amenities (firepit, grill & hot tub) make for fun summer evenings. 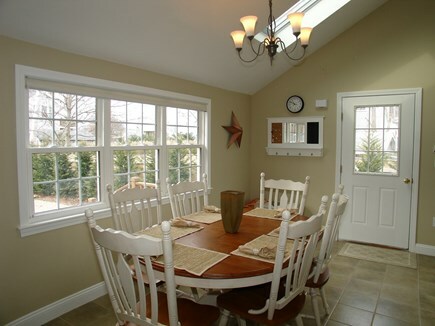 Great location in Dennis with access to good restaurants and shopping. We look forward to this vacation every year. We have been vacationing at the same property for many years. 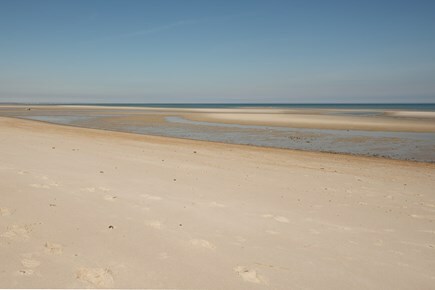 We truly love the location and by far is one of the best beaches on the Cape. 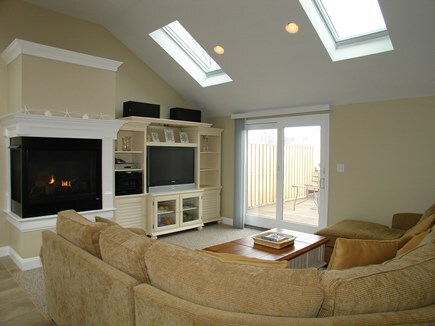 The house is clean and very comfortable and the owners go above and beyond to please. Great restaurants nearby, walking distance to our favorite Gina's by the Sea. We look forward to coming back. We are very grateful for our renters who continue to vacation at our home and treat it like their own. Wonderful Cape Cod Vacation House! 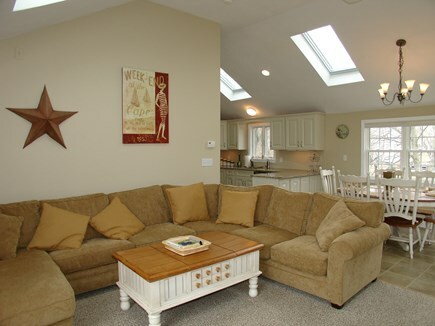 This is a wonderful Cape Cod vacation house - perfect for families! Short walk to the beach and restaurants, spacious deck overlooking a totally private backyard - complete with a hot tub, a great outdoor shower and a fire pit for roasting marshmallows! 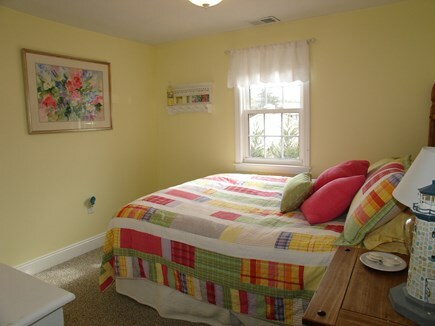 The open floor plan gives you plenty of room, and the kids love their own private loft space in the kids' bedroom! We look forward to coming back year after year! Thank you for the wonderful review. We are so pleased that renting our home has been a tradition for your family.